The Salamander Designs Synergy System SL20B is all about options. The Salamander Designs Synergy System SL20B is all about options. Sure, you can use this open frame core module as-is. 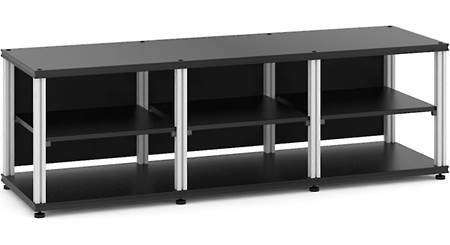 Its anodized aluminum supports, sturdy hardwood top, and adjustable shelves make a great minimalist entertainment cabinet. Or use the wide selection of Synergy System modular accessories to customize your cabinet. Add a turntable drawer, casters, extended rear panels, and more. 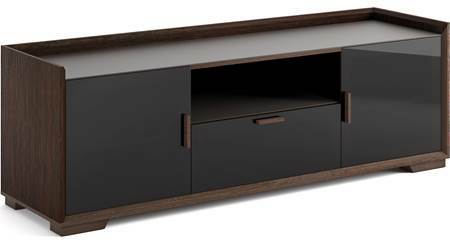 The wide cabinet top can support a TV up to 75” and weighing up to 350 lbs. Three open compartments, each with an adjustable shelf, provide storage for up to 6 components. Removable back panels give you easy access to your gear for wiring. Salamander Designs uses only hardwoods harvested from managed forestry programs. Their frames are made from recycled aluminum, with environmentally friendly coatings and stains. And each SL20B cabinet is built in the USA. 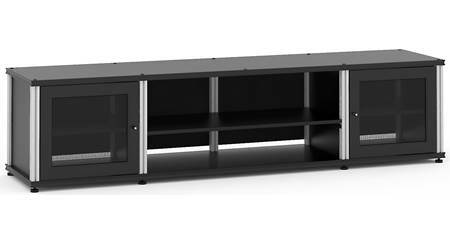 Synergy Series AV stand: The Salamander Designs Synergy series SB237B/B is a low and wide AV stand with an open top-shelf and three enclosed shelf compartments, so it will hold plenty of your components and accommodate a TV up to 75". 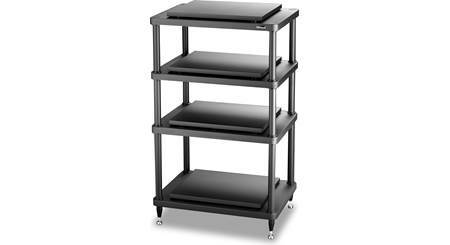 Open & Enclosed Shelving: The Salamander Designs Synergy series SB237B/B AV stand features a top shelf, three fixed bottom shelves, and three adjustable middle shelves. The three fixed bottom shelves and three adjustable middle shelves are hidden by hardwood frame doors with perforated steel inserts. Top Shelf: The top shelf measures 65.75" (w) x 21" (h) and 19.75" (d). It can support up to a 75" flat-panel TV that weighs up to 350 lbs. Enclosed Shelving: The AV stand features three enclosed compartments, hidden behind three hardwood frame doors with perforated steel inserts. 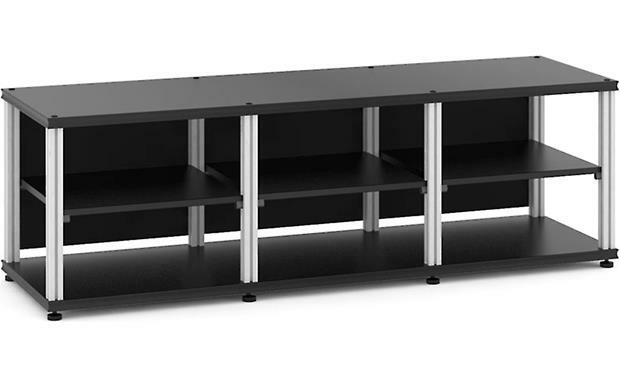 Each compartment consists of a fixed bottom shelf and an infinite adjustable middle shelf. Each compartment space measures 19.75" (w) x 17.75" (h) x 18" (d). Each shelf can hold up to 75 lbs. Leveling Feet: The Salamander Designs Synergy series SB237B/B is fitted with heavy-duty, non-marking, leveling feet. Does the SL20B Salamander Design Synergy System come in an oak finish with colored or brass poles rather than the steel looking poles supporting shelves? Searches related to the Salamander Designs Synergy System SL20B Audio/video cabinet core module for TVs up to 75".